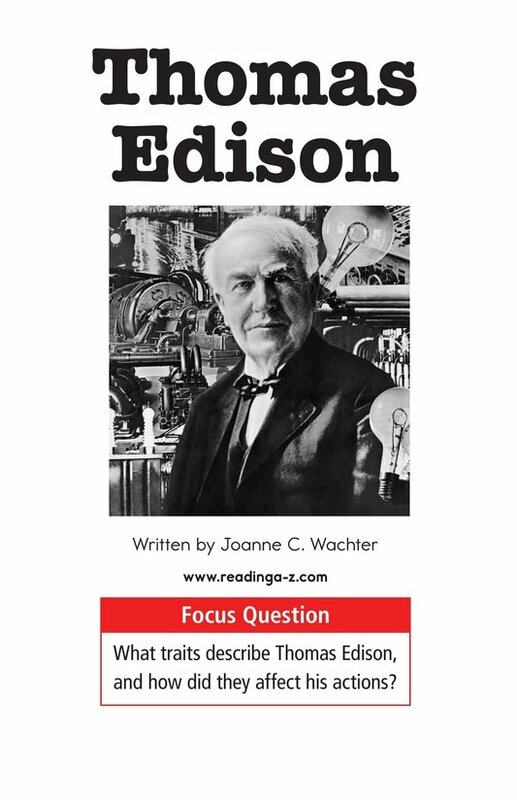 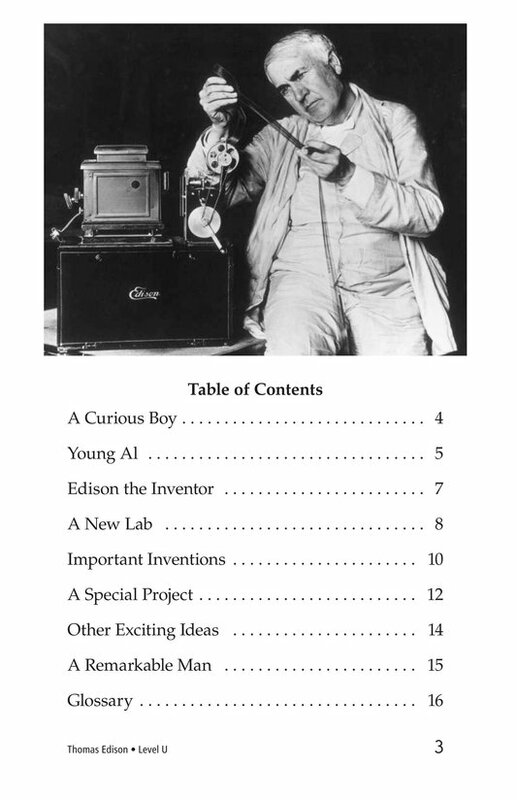 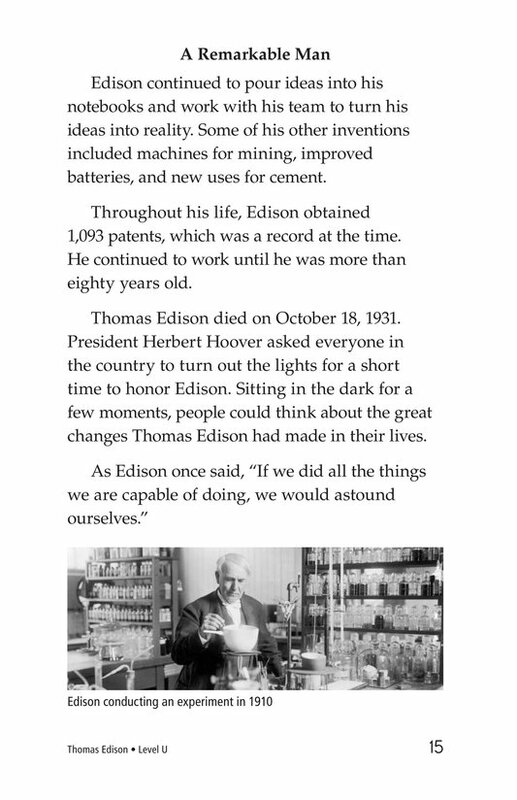 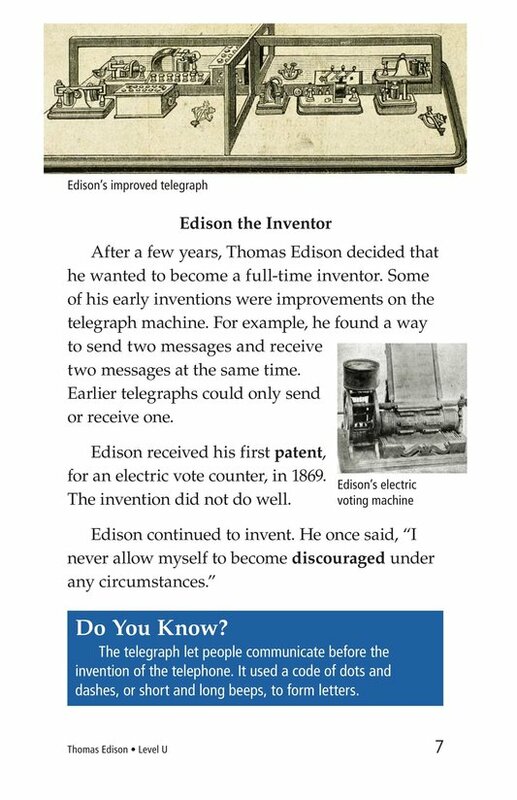 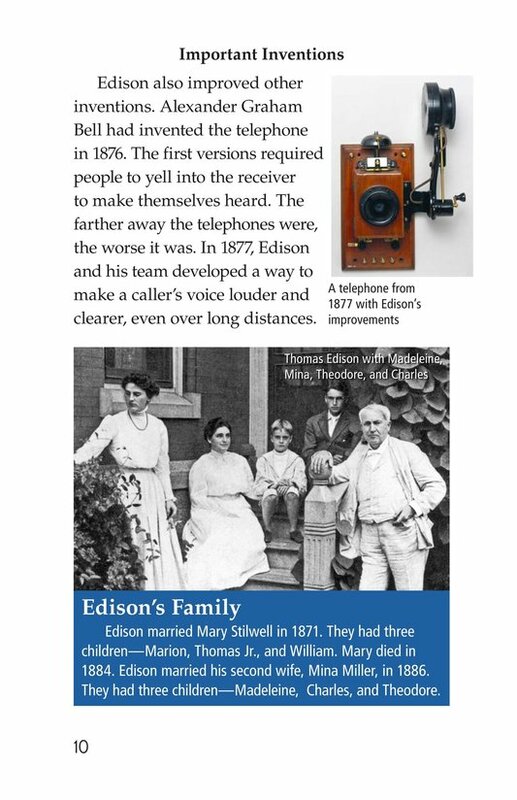 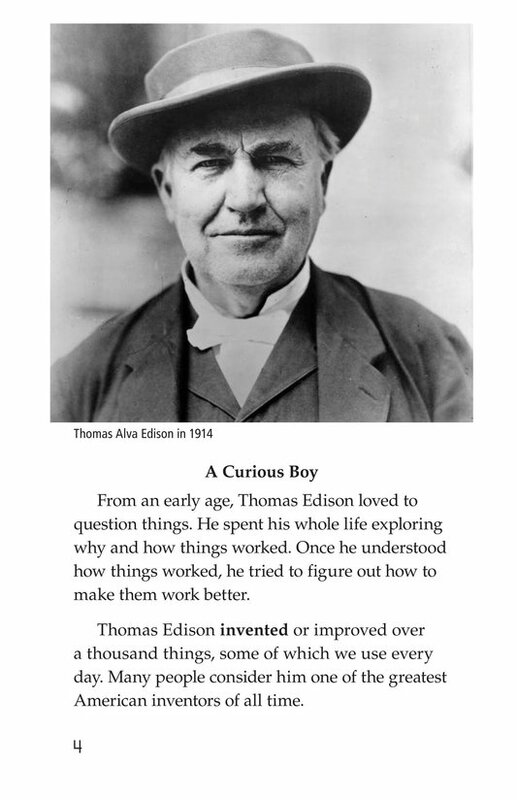 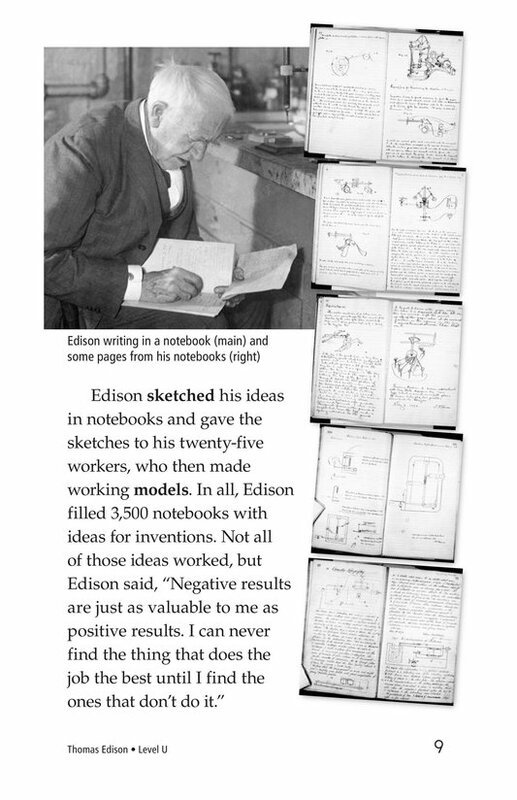 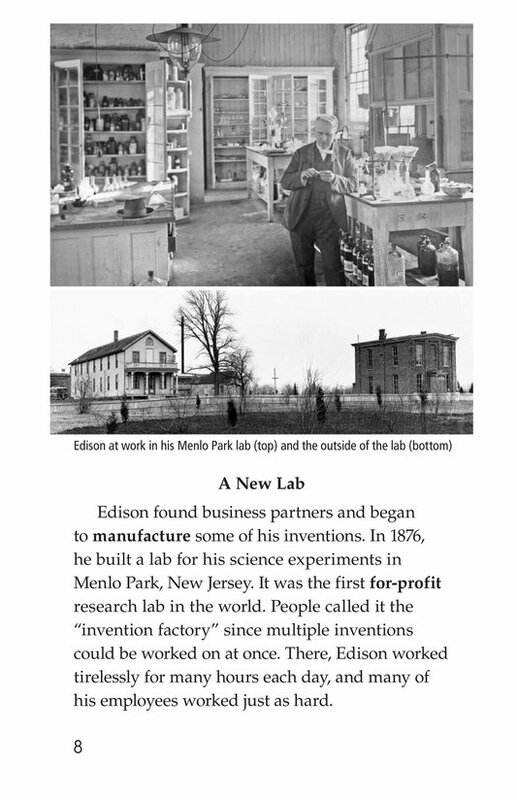 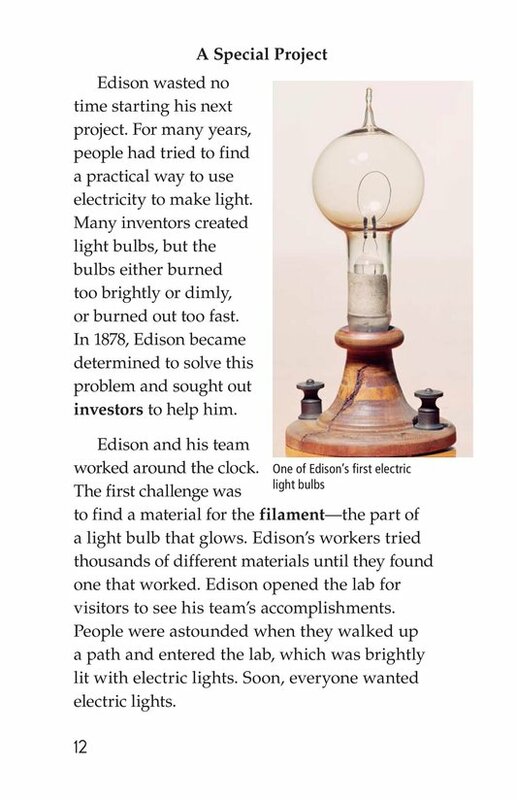 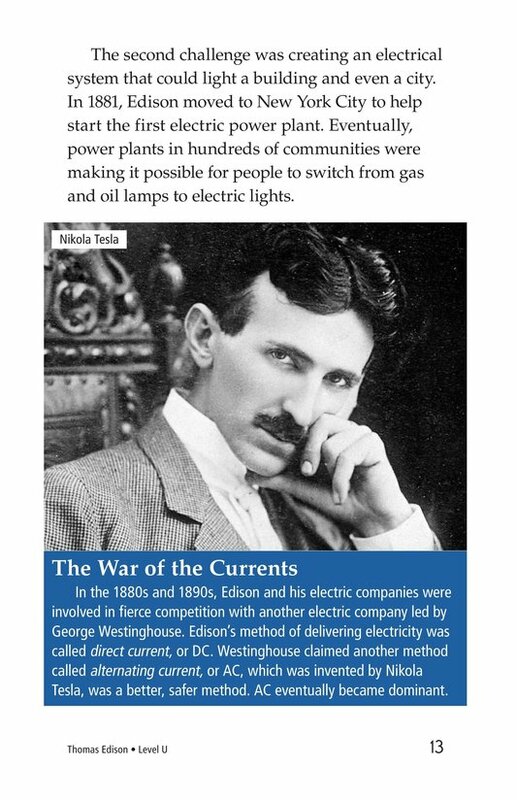 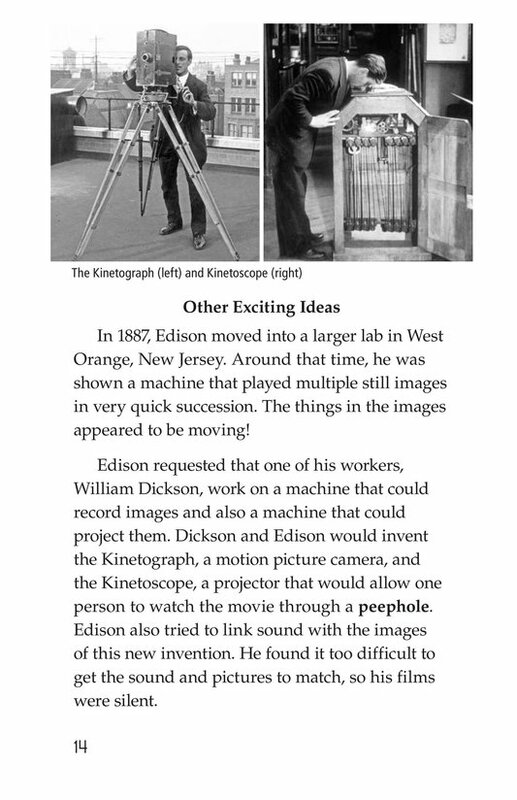 Thomas Edison focuses on the inspirations and motivations of the famous inventor. 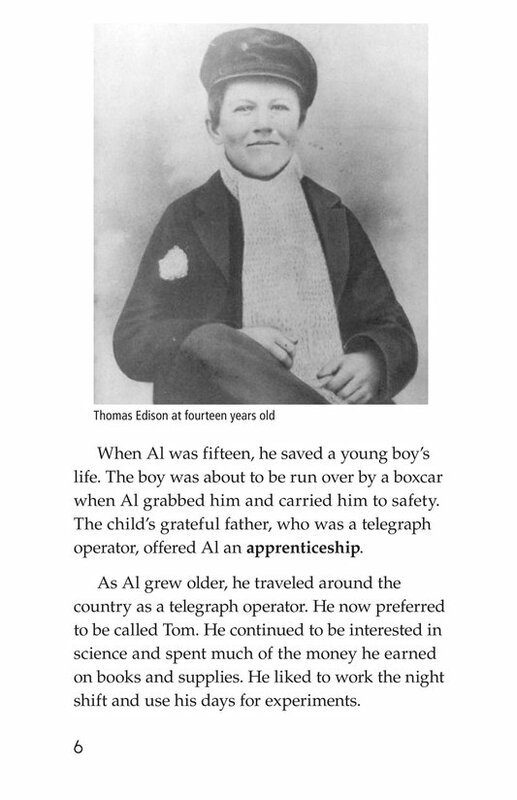 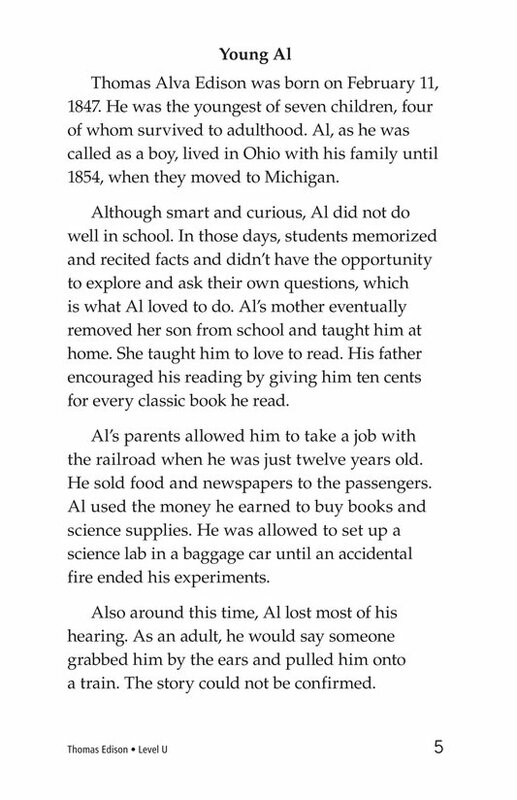 The book begins with "Al" as a young, curious boy, and continues through his life, highlighting the important events that shaped him and his accomplishments. 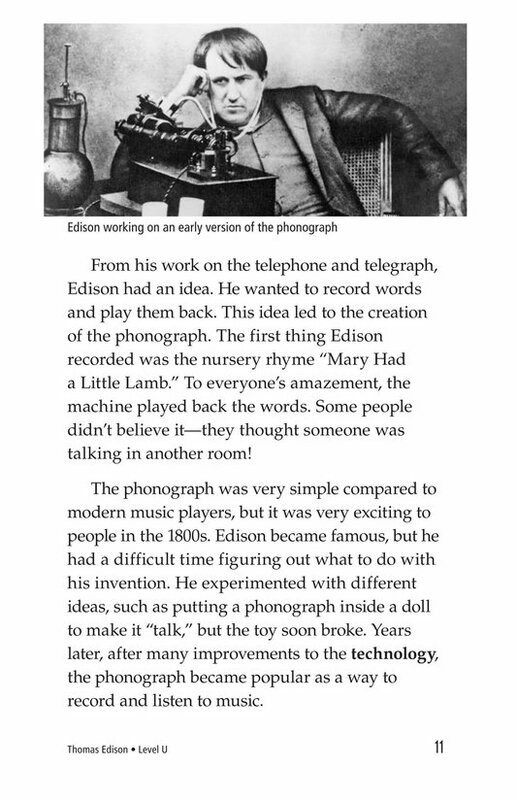 Detailed photographs and illustrations support the text. 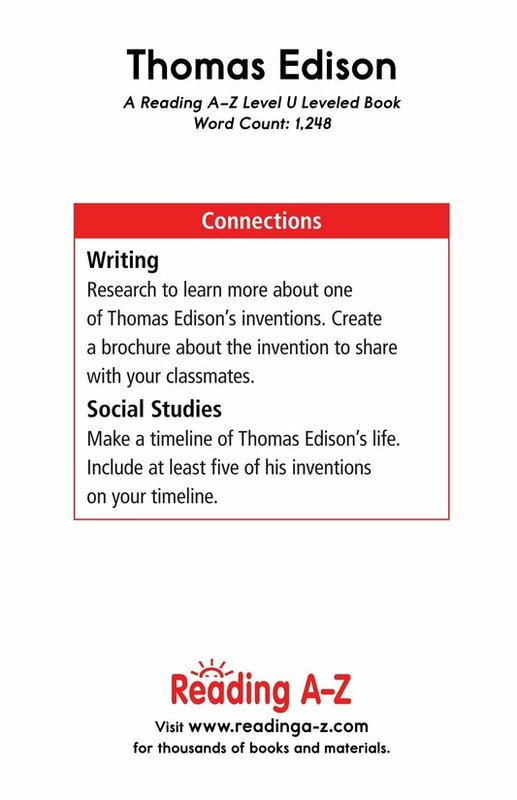 Students will also have the opportunity to summarize as well as identify elements of a biography. 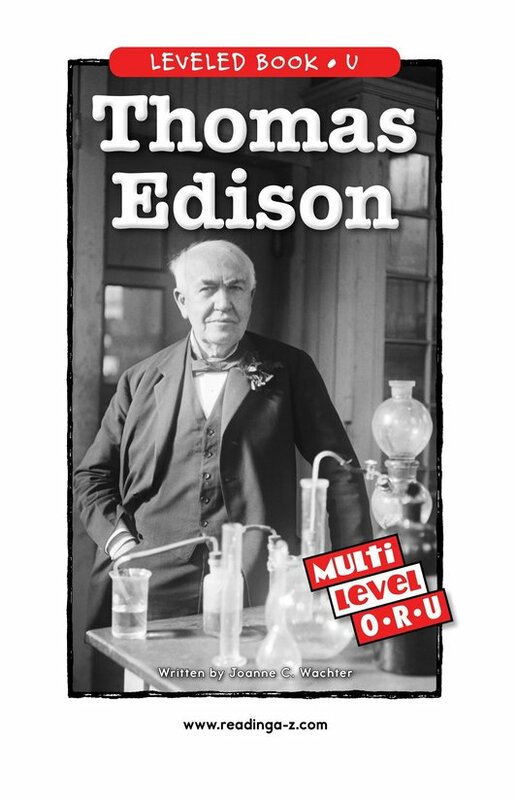 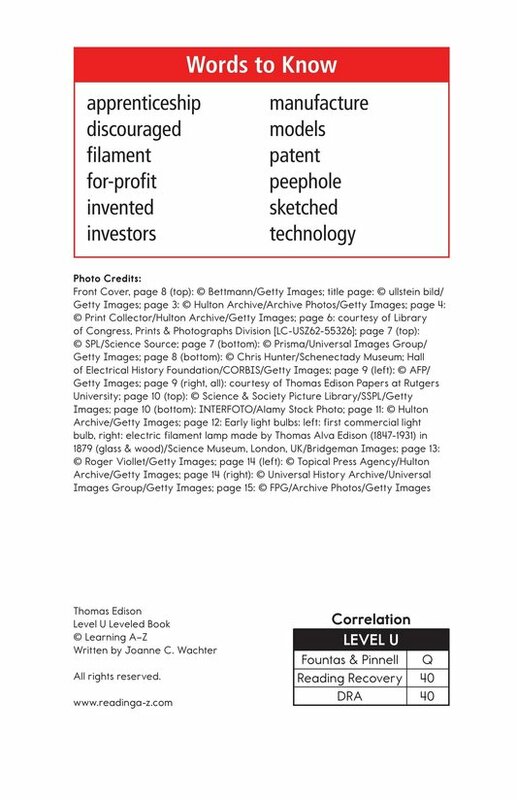 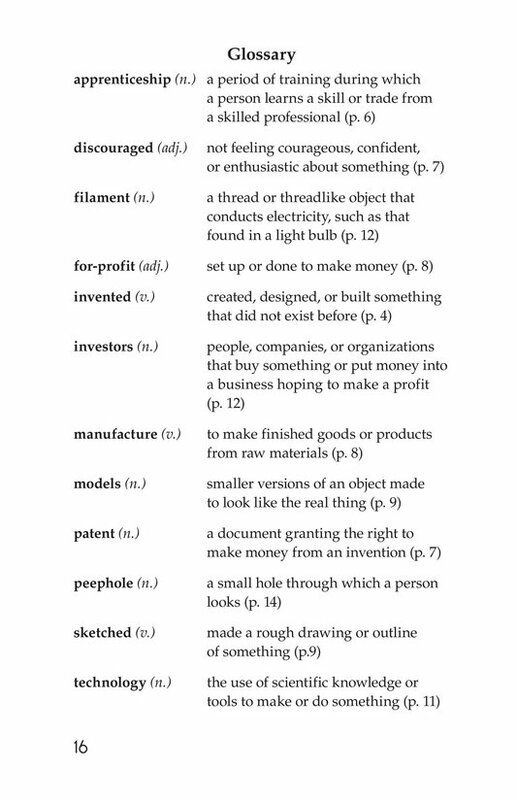 The book and lesson are also available for levels O and R.